How petite Privé Products succeeded where giant P&G couldn’t. the lab is that I don’t want ‘me too’ products,” offered Applebaum. available for product testing down the road. 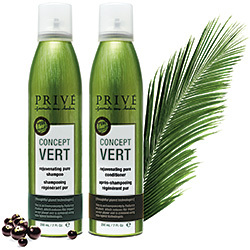 Privé with a unique advantage versus larger, corporately owned brands. way,” to manage growth profitably. leading to more PR and an expansion of the program to more salons. make year after year to create “the greatest products” in the market.